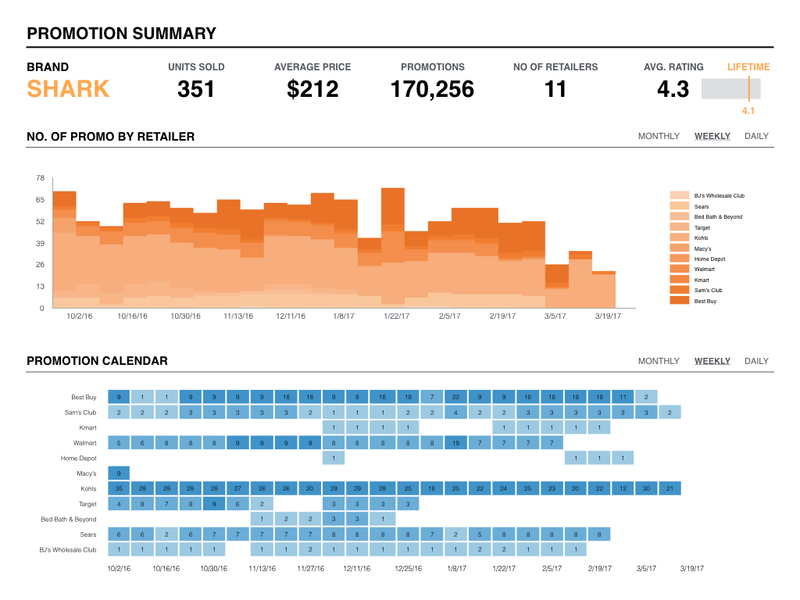 Our dashboards show you several aspects of the retail landscape and help you spot patterns. Compare between selected periods to get an overview of model planogram. 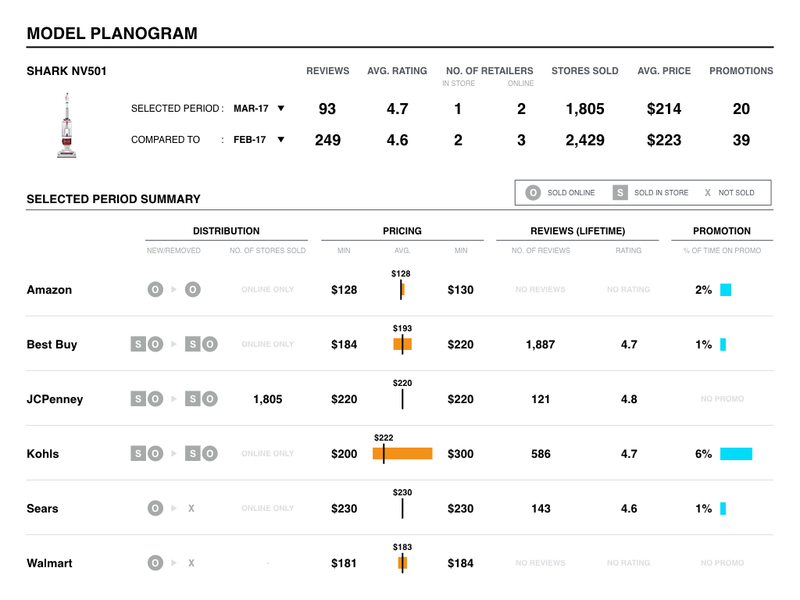 Overviews at the category, retailer, store, brand, and SKU levels. Compare between selected periods to get an overview of model planogram. 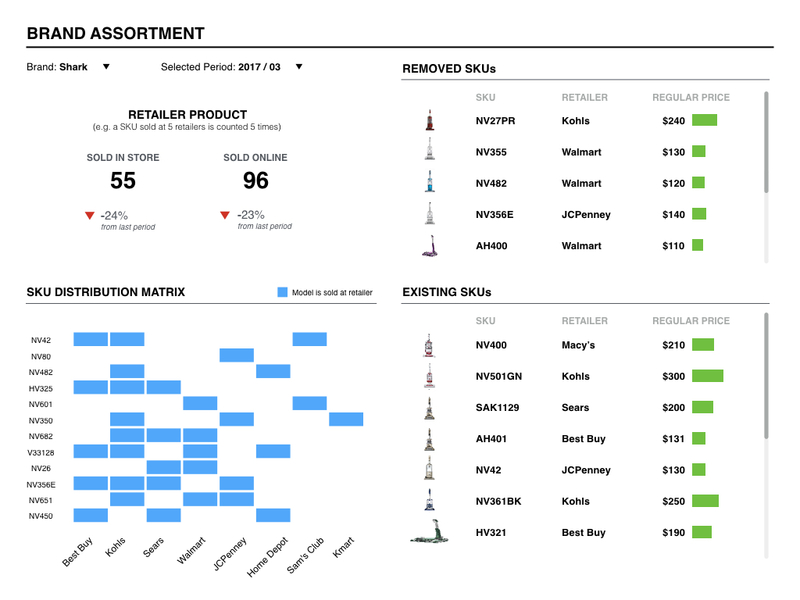 Overviews at the category, retailer, store, brand, and SKU levels. Find out which brands & retailers sell which products at which retailers. 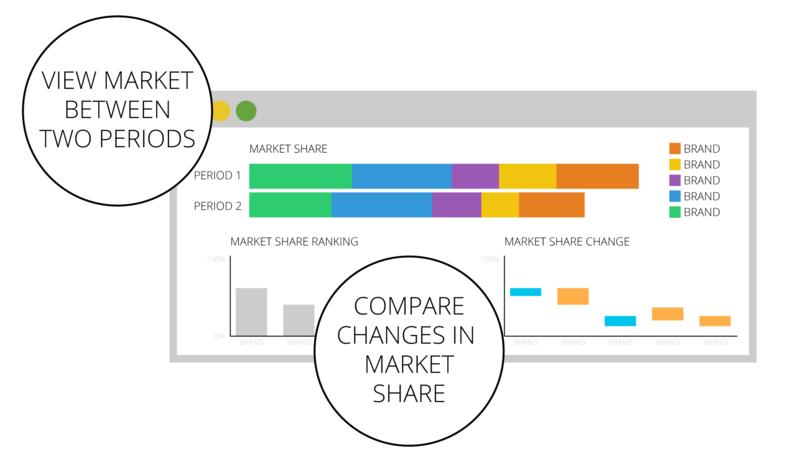 Compare snapshots of two periods, identifying changes at a glance. See where gaps in assortments can be found, and plan business strategies accordingly. Find out how many stores are in stock for products. See when products go out of stock or come in stock at specific retailers. Take advantage of competitors’ low in-stock counts or avoid competitors’ high in-stock counts. 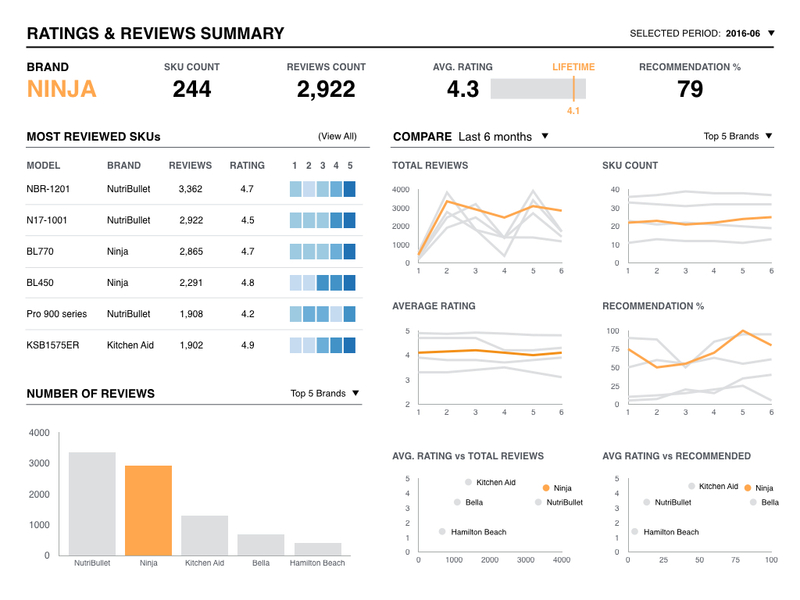 Find out how products are doing with consolidated summaries of reviews and comments. Spot trends in reviews and comments to influence business strategies. 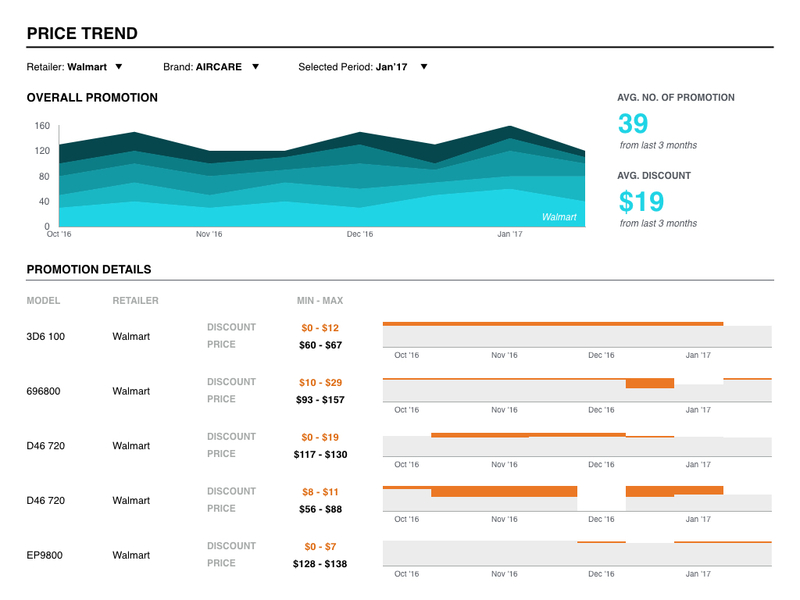 Compare between brands and products to spot trends in price changes at specific retailers. Find retailers with less offerings in price bands and take advantage with competitive pricing strategies. See which products are on promotion at specific retailers, and the promotion types. Compare promotions (and pricing) in stores between model and spot trends in promotions over time. Examine the category landscape through sales data – how much share brands and models have in the market. 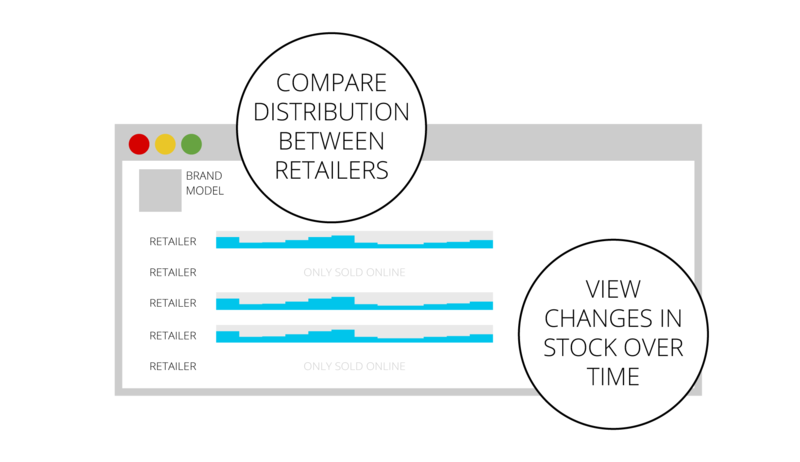 Compare sales data between models, brands and retailers from different periods of time to spot trends. Our dashboards can be exported to .ppt, .xls, .doc and be viewed offline.